GOLD MEDAL Goes to @nytimes for its special section "The Plot to Subvert An Election." 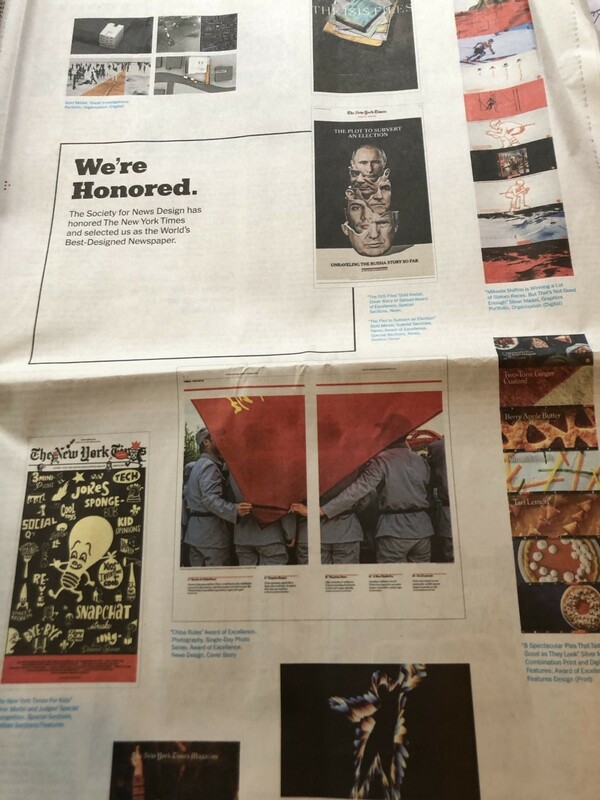 Honored as World’s Best Designed Newspaper this year! Thanks to all the jury for this. And big thanks to Art Directors Wayne Kamidoi & Andrew Sondern for trusting me in this project. Great Team work.